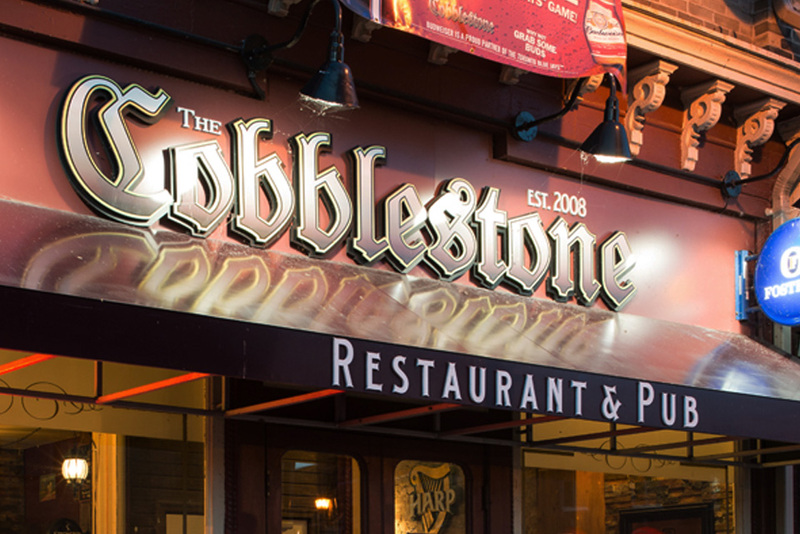 The Cobblestone Public House opened its doors to the public on April 6th 2008 and has strived from day one to provide an unforgettable pub experience every time you walk through the doors. 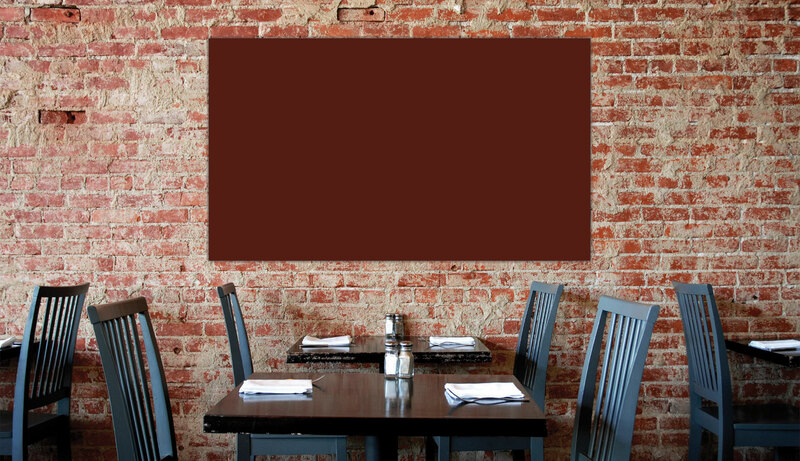 We take great pride in the food and service we provide, and sincerely hope it shows. 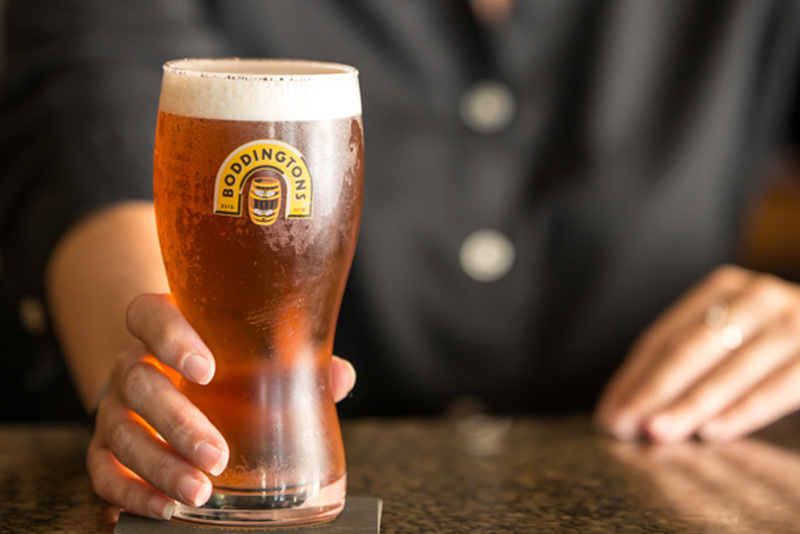 We deal with fresh food and quality ingredients and have an unmatched passion for food, fun and of course one of our 16 draught beers from around the world! It quickly became exactly what we had envisioned; a comfortable, fun place to be, whether it be for beer and wings, steak and wine, a beer while watching the game or a late night snack, it’s covered with the same quality of food and service at one o’clock in the morning as there is at one o’clock in the afternoon. Thank you for taking the time to view our website and if there is any way we can answer your questions or deal with your concerns please do not hesitate to contact us. We deal with fresh food and quality ingredients and have an unmatched passion for food. fresh ciabatta bread covered with creamy garlic butter, melted cheddar & mozzarella cheeses toasted to perfection. Add bacon. coconut breaded shrimp cooked to a golden brown, served with sweet & spicy thai sauce for dipping. grilled tortilla stuffed with our spinach dip, cheddar cheese, jalapeño peppers and diced beef brisket. served with sour cream on the side. after popular demand! we have brought back our original spinach dip, served with naan wedges and nacho chips. you’ve heard about ’em, now try ’em! 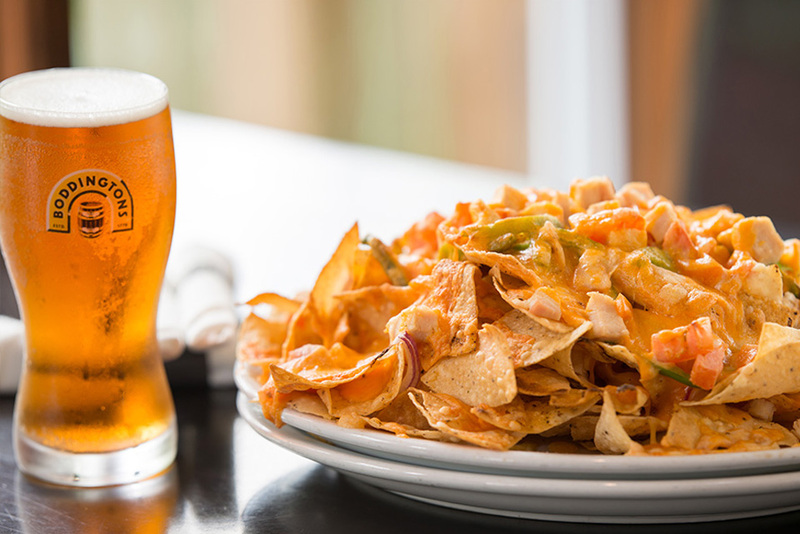 double layered crispy corn tortilla chips smothered with mounds of melted cheeses, onions, tomatos, and peppers. served with salsa & sour cream. add chicken or beef. double cream brie, baked in a golden puff pastry, drizzled with sweet thai glaze *please note this item can take longer to prepare than our other appetizers*. crispy cauliflower florets seasoned and tossed in your choice of hot, medium, mild sauces or dry cajun seasoning. served with ranch or blue cheese dressing on the side. spiced veggies wrapped in a flaky pastry and fried to a golden brown. served with sour cream. served warm and tossed in sea salt with wasabi mayo. our fresh cut fries shaken in dill pickle seasoning, drizzled with ranch dressing & topped with chopped pickles. hand-cut french fries tossed in cajun spice, served with ranch dressing on the side for dipping. crispy sweet potato fries served with spicy mayo. battered and fried to golden perfection, and served with chipotle mayo on the side. hand-cut fries smothered in our house curry sauce. our fresh cut fries topped with cheese curds and our house made curry sauce. our fresh cut fries topped with real local cheese curds and a beef gravy. add chicken or coconut shrimp to any salad. always changing, always made in house, and always delicious! beer braised onion soup with crostini and melted cheese, served with garlic toast. fresh market greens tossed with tomatoes, cucumber, onions, carrot, and chickpeas, with your choice of dressing. crisp romaine lettuce tossed with bacon bits, house made croutons, and our garlic cream dressing. topped with fresh parmesan cheese. fresh kale topped with apple chips, mixed nuts, red onion, and brie cheese. crisp romaine topped with real bacon, blue cheese, tomato, chicken, hard-boiled egg, and shredded cheese. served with ranch or blue cheese dressing. your choice of grilled or crispy chicken tossed in Richard’s apple butter bbq sauce served on a bed of fresh spring mix, romaine lettuce, onions, peppers, tomatoes, jalapeño peppers, and croutons all topped with shredded cheddar and mozzarella cheeses, served with ranch dressing on the side. all of our burgers are made with fresh, never frozen beef, mixed in house with our signature herbs and spices. all cheeses are real sliced cheese- no processed junk! *please note all our burgers are cooked to the perfect internal temperature of at least 160° F. because we do not freeze our beef or use fillers or colouring, on rare occasions you may still see some pink. it is perfectly normal & safe to eat… enjoy! all sandwiches & burgers are served with your choice of hand cut fries, onion rings, baked potato, daily soup or house salad. substitute caesar salad, poutine, loaded baked potato or sweet potato fries. ask about our gluten free bread when available. any of the following sandwiches can also be served in a wrap for no extra charge! when just a burger will do, this is the one for you! add cheese or bacon. flame grilled vegetable patty, topped with brie, caramelized onions, lettuce, tomato and chipotle mayo. our hand mixed beef patty topped with bacon, cheddar, fried egg, and french fries. (yes, french fries on your burger!!). our hand mixed beef or veggie patty topped with blue cheese, chipotle, and fried onion. our hand mixed beef patty topped with fresh sliced smoked bacon served with our rickard’s red bbq sauce with lettuce, tomato, and onion. our hand mixed beef or veggie patty topped with pickled jalapenos, cheddar, bacon, and sour cream. buttermilk battered chicken breast, tossed in your choice of wing sauce with lettuce and tomato in between toasted garlic ciabatta. served with your choice of ranch or blue cheese on the side. shaved brisket, caramelized onions, and swiss cheese served on a garlic swiss ciabatta served with gravy for dipping. fresh chicken breast topped with apple chips, brie, kale, lettuce, red onion, and chipotle mayo. served on a toasted ciabatta. fresh chicken breast, beef brisket, bacon, cheddar, lettuce, tomato, and mayo on a garlic toast ciabatta. layers of freshly sliced corned beef and sauerkraut, smothered in cheese and grilled between two slices of marble rye. served with 1000 island dressing on the side. Chicken Wings – since we opened in april of 2008, the cobblestone has sold over 1,500,000 chicken wings! fresh- never frozen wings from right up the street at southern pride poultry in st george, shaken in one of our 14 different wing sauces! seasoned breaded strips of chicken served with our hand cut fries and plum sauce for dipping. a 7 oz piece of haddock, beer battered and served with fresh cut fries and napa cabbage slaw. a pub classic! chicken breast and vegetables simmered in our house made red curry sauce. served on a bed of wild rice or french fries with naan bread. a 7oz piece of haddock pan seared with cajun spice, served with rice or baked potato, napa cabbage slaw, and tartar sauce. our own twist on a classic! cheese stuffed dumplings grilled with onions and smoked bacon topped with bbq sauce and covered in melted cheese. served with sour cream on the side. fresh lake erie yellow perch straight from port dover in our own light breading. served with fresh cut fries or baked potato, coleslaw, and tartar sauce. the pub classic gone plant based! a medley of fresh vegetables, and chickpeas sauteed in our house made red curry sauce. served on a bed of wild rice, or fries served with naan bread. A warm flour tortilla stuffed with fresh chicken breast or taco beef, cheese, onion, tomato, and peppers served with salsa and sour cream. 50 cents from every Kid’s Meal goes to the Arnold Anderson Sport Fund for Youth. Breakfast is back starting April 6! Served weekends from 8am – 11:30. 2 eggs with your choice of bacon, peameal or sausage served with toast and home fries. 3 Eggs served with bacon, ham, peameal, homefries, toast and baked beans. A three egg omelette made with your choice of 3 of the following items, served with toast and home fries. Home fries mixed with grilled onions, peppers, bacon and sausage covered in a blanket of two eggs and melted cheese served with toast. 3 fluffy buttermilk pancakes served with your choice of bacon, peameal or sausage. 3 fluffy buttermilk pancakes mixed with chocolate chips, served with your choice of bacon, peameal or sausage. eggs, bacon, onions and peppers served on your choice of white or whole wheat bread and home fries. Smokey bacon, ripe tomatoes, leaf lettuce and mayo served with home fries. Everything in 2’s! 2 buttermilk pancakes served with your choice of 2 pieces of bacon or 2 sausage links. 1 egg, served with your choice of bacon, peameal or sausage, one slice of toast and home fries. Since 2008 The Cobblestone Public House has been committed to using the freshest quality ingredients sourced as locally as possible. All of our produce is delivered daily from Fortes Market in Brantford, Ontario. Our chicken is always fresh, never frozen – delivered daily from Southern Pride Poultry in St. George, Ontario. Our beef products are delivered fresh not frozen from Norwich, Ontario just 35km southwest of Paris and are all sliced o f the roast and aged on site. All fried foods are always cooked in 100% canola oil which is cholesterol free, trans fat free and rich in omega 3. All of our soups are made from scratch daily and French fries are cut fresh on site every single morning. Our burgers are home made from never frozen beef and all our cheese is real – nothing processed. We take great pride in our “from scratch” mentality and preparing as much by hand as possible. We love feeding our own families and cannot thank you enough for choosing us to feed yours. 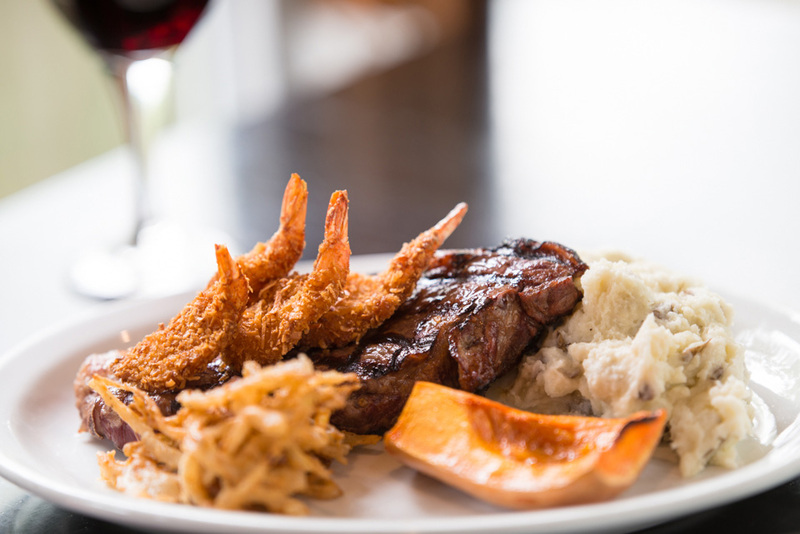 Whether it be for beer and wings, steak and wine or a night out with the family, come and experience casual dining the way it was meant to be.